Total personal income increased to $15,648 billion, up by 0.3% in December 2015 on a month-over-month basis according to the most current data from the Bureau of Economic Analysis. Personal income growth in 2015 remained strong, with the highest increase (0.64%) in April following a weak or nearly 0% increase in March. Disposable personal income – income remaining after deducting personal income taxes – continued its growth, along with a modest increase in personal consumption expenditures. In inflation adjusted dollars, which is estimated in chained (2009) dollars, disposable personal income rose by 3.1% annually, while personal consumption expenditures grew 2.6% year-over-year. 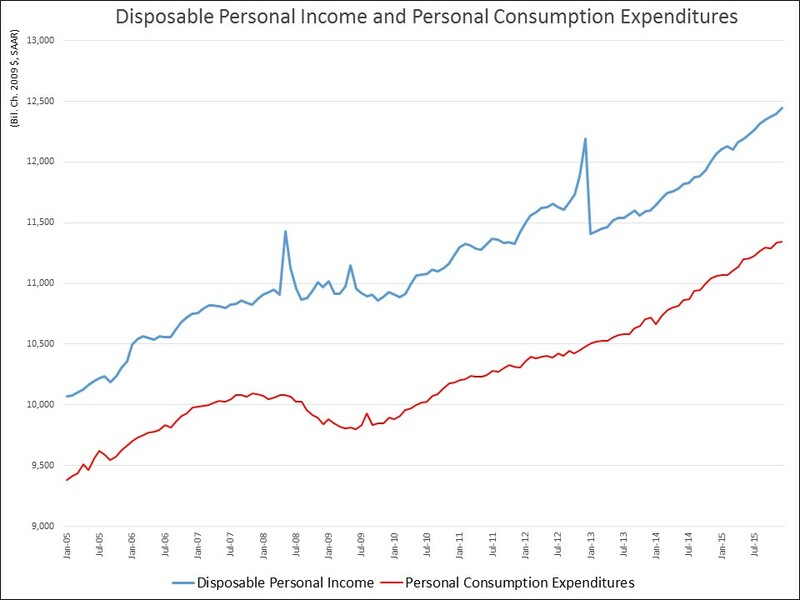 Higher growth of personal disposable income compared to that of personal consumption expenditures implies a higher saving rate. 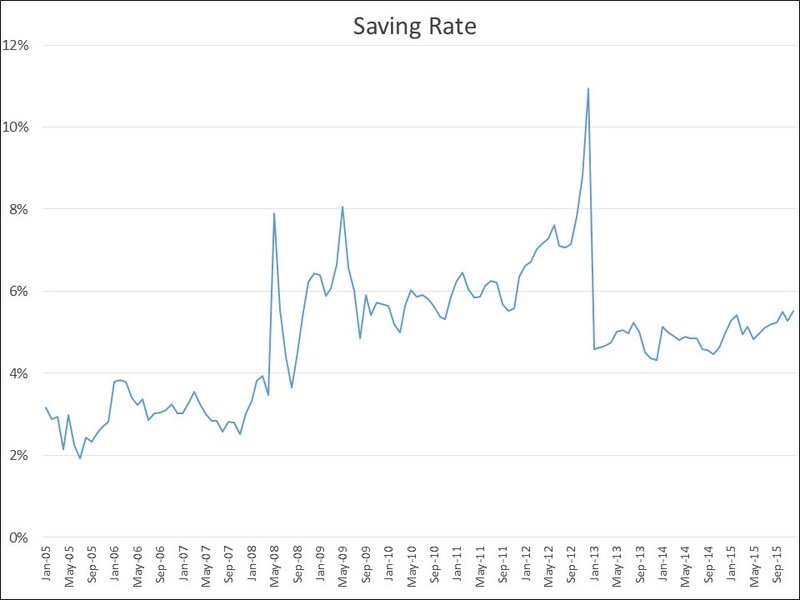 The saving rate reached 5.52% in December 2015, the highest level after the tax policy-related spike at the end of 2012. The savings rate rose with the onset of the Great Recession as households repaired their balance sheets. But this process of deleveraging held back GDP growth due to reduced consumption.